Venice is cool. It’s a city that needs to be approached in a very different way than most cities, even Italian cities. It is a world all its own. Yes, it is expensive. Yes, it is difficult to find good food (though entirely possible). Yes, it is crowded. Really crowded. But there is something truly magical about the city. The key to Venice is to go without a plan, find the hidden gems and make the most of the evening. Here is a mini guide to what will make Venice great. Yes, you need to see Saint Mark’s Basilica. My recommendation is to go with Walks of Italy and do an exclusive, after hours visit. The church in the evening light is exquisite and you will be able to appreciate it so much more with a group of 12 people rather than being herded like cattle in the daytime. Of course you may want to visit the island of Burano, the Ducal Palace and the Accademia. But the beauty of this city is in the wandering. I have repeatedly been hopelessly lost in Venice and I love it. The absence of cars makes the atmosphere so unique that losing oneself along the canals and on the tiny winding streets is a treat. One late afternoon I found myself nowhere near my hotel or anywhere I recognized. I had lost my bearings and decided that the best solution would be to stop for an aperitivo to regroup and replenish. I found a little wine bar and sat down. Apparently I scowled at the waitress when she told me that their specialty was a cheese plate with homemade onion and carrot jams. She basically told me to sit down and wait. Before long I was indulging in a glass of prosecco and the most divine jams that paired exquisitely with the cheeses on the cutting board. It was heaven. I could not for the life of me tell you the name or location of this winebar. I do know what church it was near and when I return to Venice in October, I intend to find it again. I am sure I will get lost and that is ok.
San Giorgio Maggiore - this tiny island just across the lagoon from San Marco houses a 16th century church. Skip the bell tower in Saint Mark’s Square and climb this one for a spectacular view of the lagoon and its 100+ islands. Guggenheim Collection - I love this modern art gallery which is a real departure from the art of the Venetian masters such as Tintoretto and Titian. Shopping is pretty fabulous in Venice too. Of course glass and lace are most well known but there are some incredible contemporary shops that have a real eye for modern design. Don’t miss Laboratorio 2729 in Dorsoduro for housewares or Officine 904 for stylish leather goods. Here’s a secret: those throngs of tourists that pack Saint Mark’s Square during the day? They will make a mass exodus around 5PM as they continue on to Padua, Verona or other parts of Italy. Venice is a day trip for many and the true magic of the city comes alive in the evening. While the shops, churches and museums will be closed, there is no lack of opportunities to enjoy other aspects of Venetian culture. Namely: food, wine and music. 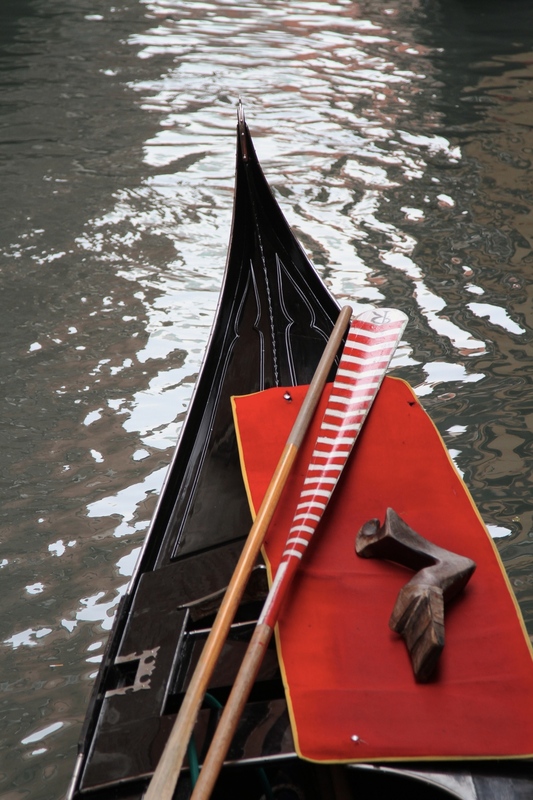 There are some great ways to learn about the Venetian culture through food an wine. Monica Cesarota offers a cicchetti tour where a small group of guests join her for the Venetian tradition of ombra e cicchetti - wine and small bites at three or more winebars. Monica will explain how the history of this tradition as well as providing insight about the offerings at each establishment. If you are fascinated about the wines of Venice and the Veneto, Context Travel offers a wine tasting seminar in the evenings. This three hour walk, led by a sommelier, gives guests the chance not only to taste the wines but also to learn about the important aspects of Italian wine production and its role in Italian culture. If music interests you, there are always opportunities to attend concerts by exciting young artists. Try the church of San Giovanni Evangelista in San Polo or the Church of Santa Maria Formosa. There are many, but here are a few places that top my list. Hotel: Ca Pisani - located near the Accademia, this is a funky boutique hotel with modern decor and a fantastic staff. A perfect place to stay while in Venice. Apertivo: Other than the mystery enoteca that I found when I was lost, I can’t resist a Bellini at Harry’s Bar or a Spritz at the Bar Longhi in the Gritti Palace Hotel. Dinner: Anice Stellato is the place to go for the frittura misto - fried fish, seafood and vegetables prepared in a way that will make you swoon. This unassuming and wonderful osteria has stood the test of time, remaining a staple in Venice while other trendy places have come and gone. I would love to hear your impressions of Venice. Leave a comment with recommendations or favorite places that you have discovered while there.